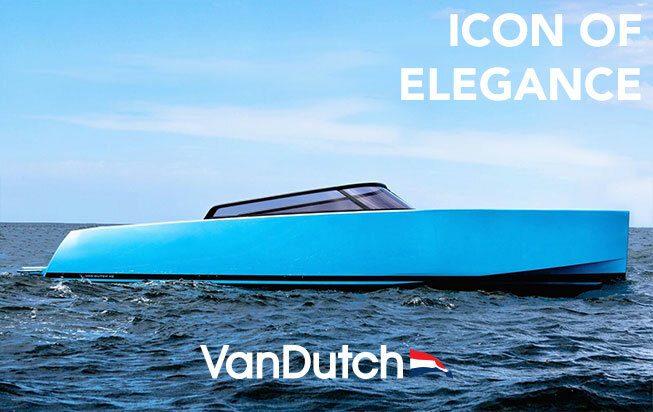 VanDutch by NTK Marine in partnership with Bagatelle Beach for the 68th Edition of the International Cannes Film Festival, taking place from the 13th to the 24th May 2015. For the 68th Edition of the Cannes Film Festival, Bagatelle Beach sets up on La Plage 45, private beach of the Grand Hotel de Cannes, from 12pm to 8pm, and at the Palm Beach Club from 9pm till 2am. Bagatelle Beach, this year, is partners with many renowned companies and brands, including VanDutch. The Bagatelle concept was initiated by Aymeric Clemente and Remi Laba. It has already been very successful in Miami, Los Angeles, New York, St Barth, Sao Paolo and has made its way to Saint Tropez on the famous beaches of Pampelonne in the past years. The beach, managed by Christophe Vialette, has made the buzz with its numerous parties, extravagant style and beautiful Mediterranean cuisine. On the occasion of the Cannes Film Festival, VanDutch by NTK Marine, in partnership with Bagatelle Beach, provided to the VIP clients of Bagatelle Beach, a VanDutch 40 (http://www.vandutch-marine.com/fr/boats/details/2/vd40) personalized with the logo of the beach. The VanDutch 40 will allow private transfers of the clients, to and from their yachts moored in the bay of Cannes, to the Bagatelle Beach. During the entire period of the event for the Film Festival, VanDutch by NTK Marine will benefit from a lounge area on La Plage 45, to welcome and present the VanDutch boats to the clients of the Bagatelle Beach. VanDutch by NTK Marine offers on charter VanDutch boats and many others, on the French Riviera and in the Mediterranean. NTK Marine is also an exclusif dealer of the VanDutch brand. Come and join us for a fabulous festival at Bagatelle Beach, from the 13th to the 24th May 2015.